Next year, Kenya will mark 50 years since it gained its indepedence. At 50 years of age, an average Kenyan citizen has 10 years to live, if they are female, or 8 more if they are male. A few years ago, they would already be dead, but we have improved health care, standards of living and reduced HIV impact to thank for. Not to be left out, the state of utilities and services in Kenya is wanting, like in many other countries. After years of neglect ,Kenya has proved sceptic wrong (including yours truly ) by coming up with stunning highways, while the country''s power utility, Kenya Power, is ranked amongst the best South of the Sahara and North of the Limpopo. However, water has continued to be a big problem across the country. Nairobi Water and Sewerage Company, Nairobi's sole water provider has not disappointed many. The firm, like a citizen at 50, has aged gracefully and might was well be dead by the time Kenya hits 60. At one point, it is rumoured that Nairobi Water's predecessor could supply clean water reliably, around the city. Nowadays, it is stated that Nairobi Water does not normally have enough water in dams to supply the city. That, however, is not their biggest problem. Over the years, as the firm ages , Nairobi Water as failed to construct water pipes to supply a growing Nairobi with water. Nairobi Water does not have enough pipe capacity to supply the less-than-enough-water in its dams. 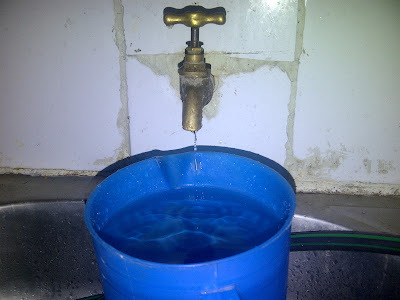 For the above reason, Nairobi Water has to ration water supply to various areas around the city, whether it is raining the hardest a 50 year old has seen , or whether it is the driest number of months that a 50 year old can remember. In most cases, the tragedy would come to an end at this point, but like a bottomless well, it doesn't. 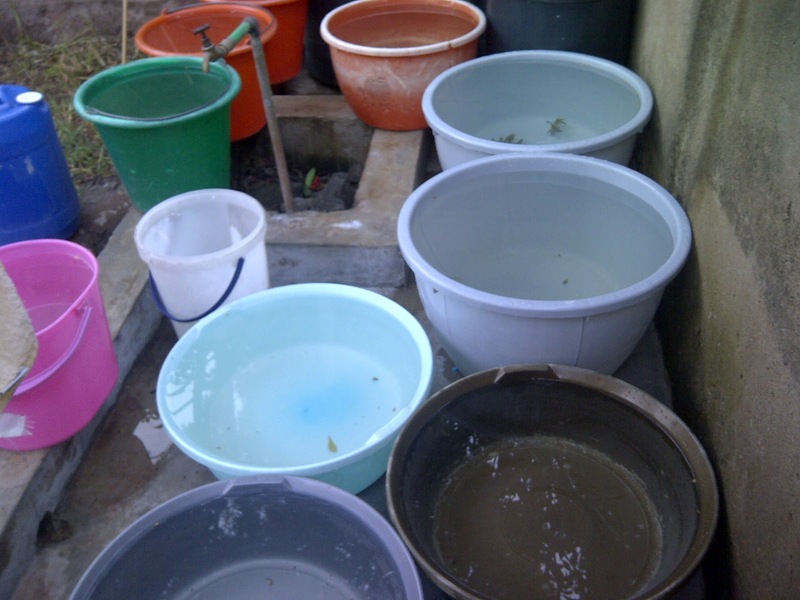 Nairobi Water simple water rationing schedule is too difficult for the firm to stick to. Once, or twice, I have my friend has been forced to consider a dark unlaundered shirt as part of his outfit. See, the laundry lady comes once a week, on a blue Monday. However, due to Monday blues or unknown reasons, Nairobi Water fails to supply water as per its rationing schedule on a few Mondays. Being a firm of surprises, it ends up supplying water on days that it promises it won't. Other than a schedule-less rationing schedule, various city citizens also have to grapple with low volumes of water supply, just enough for a trickle. As you are familiar by now, the tragedy doesn't come to an end. On my way to work, I have watched Murangá road being constructed. The contractor has had to delay part of their work for months. I have counted a sewage contractor redo a sewer line not less than three times, with stinking failure. Further down the road, near the temple at Forest Road, another of Nairobi Sewer's will overflow and spill effluent into a stream. Years of experience have proved futile in finding a lasting solution. On my way home, I encounter slow moving traffic. It takes a few seconds of manoeuvring to get beyond a trench on Enterprise Road, at the Jomo Kenyatta Foundation. It is rumoured that Nairobi Water dug across the tarmac to lay a pipe. Old age comes with memory loss. It is easy to live without using Nairobi Water's water for a month, but not before you get a bill, which is distinguishable when broken down - it charges more miscellaneously than for water consumed. A silver lining to Nairobi's Water tragedy is the firms ISO 9001 certification. Nairobi Water is among more than 1 million firms awarded an ISO 9001 certification for "quality management systems , designed to help organizations ensure that they meet the needs of customers and other stakeholders (cited from Wikipedia)". I need to turn off my tap, just in case quality water which meets my needs comes in tomorrow when I''m not in my house and floods it.